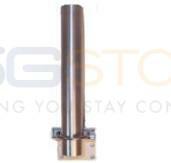 This antenna is designed to be used as the exterior antenna in a 75ohm repeater system. It is NOT compatible with 50ohm amplifiers and is not designed to be connected directly to a modem - for 50ohm systems, use the 314411 Yagi. A Wilson Yagi antenna is a good choice for users building a 75ohm amplifier system from scratch or who want to replace an omnidirectional antenna. By installing this exterior 75ohm antenna and aiming it at the closest cell tower, you can pull in signal from further away and improve your amplifier's performance. 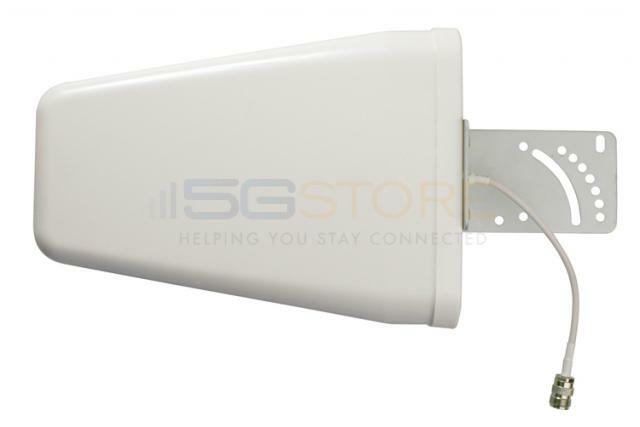 All major worldwide cellular frequencies are picked up by this Yagi directional antenna. 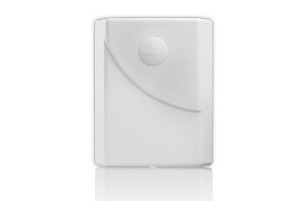 It comes with pole-mounting hardware and can also be mounted to a wall or rooftop. The antenna is built for tough environmental conditions with a UV-stabilized housing and DC grounding. This directional ultra wide-band log periodic antenna covers a very wide frequency range with high gain. This antenna can be used indoors or outdoors and comes complete with all components needed for pole mounting or wall mounting (does not include the pole). The sealed housing is UV stabilized ABS plastic. The backplate is stainless steel with stainless steel fasteners. All bracket components are stainless steel as well for corrosion protection. The pigtail is 9" outdoor-rated cable terminated with an F/Female connector (RG6 cable sold separately). First of all, Wilson is the best out there when it comes to quality and customer service. If you ever have a question, just ring Wilson Electronics and speak directly to an engineer. Also, they will replace a defective unit in a heartbeat -- for free. I've been dealing with Wilson for the past 4 years and am confident they are the best out there. Second, this antenna is perfect for my needs. I had an omnidirectional before, but its reach is small compared to what this antenna gives. It has doubled my 3g downloads in comparison to my old omnidirectional (even though the RSSI was the same with both - go figure).